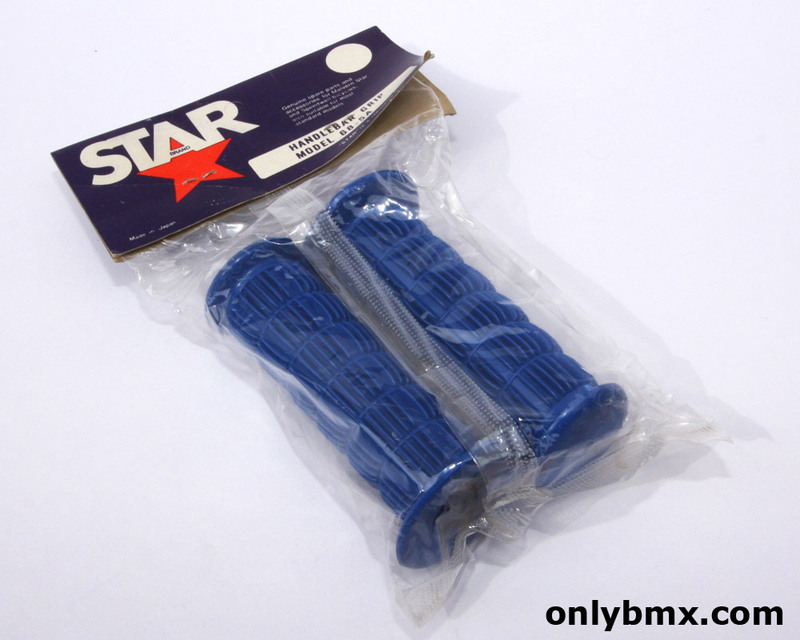 Star Brand BMX grips. These old school BMX grips were original equipment on Speedwell and Malvern Star BMX bikes in Australia and also some other countries. they are a generic type BMX grip and perfect for any vintage BMX build where you don’t want to use the normal brands such as Oakley, A’ME, Oury, Fuan etc. They are new in the bag and haven’t been mounted on handlebars before.